Easter Sunday continued the spell of very warm weather for April becoming the warmest day of the year as the temperature hit 24.6°C or 76.3°F also making it the third warmest April day I've recorded in ten years. However, there's been a reminder in the overnight temperatures that it's still only April, as the temperatures dipped to around 4°C or 39°F. 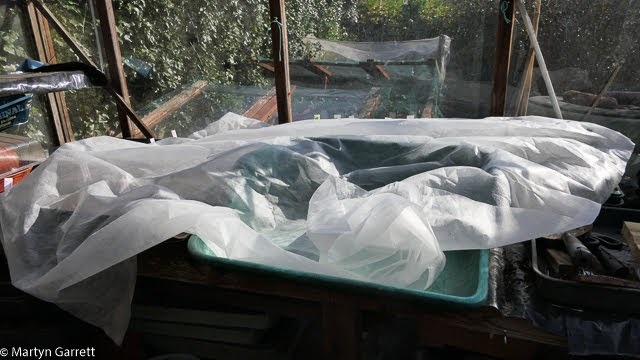 I've taken the precaution of covering up tomato seedlings in the greenhouse to give them as much protection as possible against the cold overnight conditions. 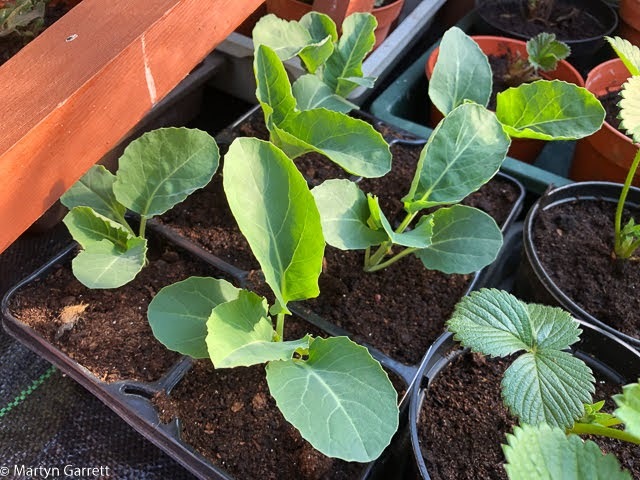 It's difficult to believe how cold it was only a week ago when we had those very keen frosts which damaged the kiwi Issai that we had just planted out on the plot. I'm hopeful it will make a full recovery as it had been growing outside at home so it should be accustomed to cold conditions. 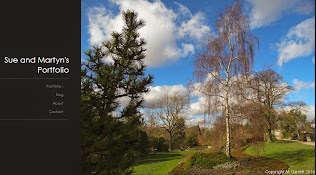 Easter Monday looks to be the last day of the warm spell of weather as Tuesday heralds a return to more normal temperatures and maybe some rain for a very dry allotment and garden. Saturday took over as the warmest day of the year as the afternoon temperature reached 23.9°C or 75.0°F. 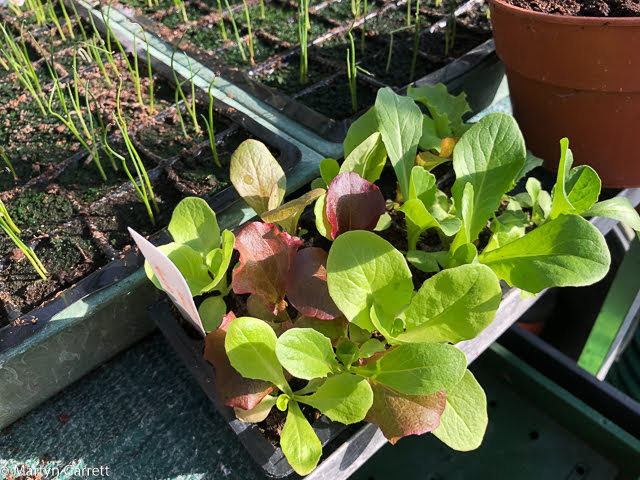 The warm days have been very welcome but with lots of media hype around the spell of warm weather it's not been such a brilliant month for gardeners. 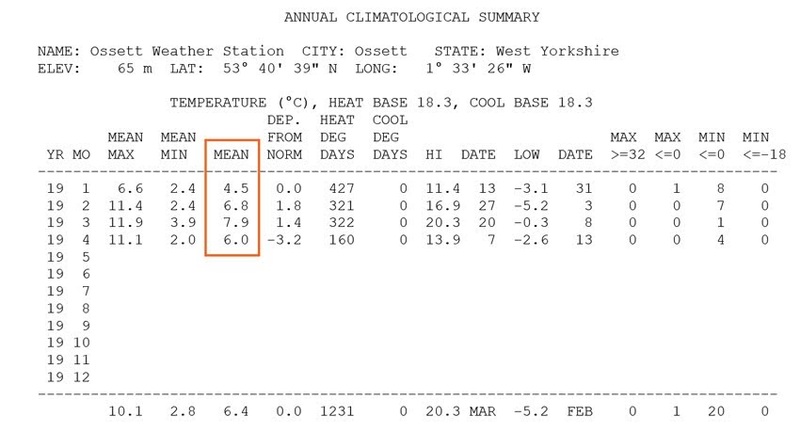 The average temperature for April up until Saturday is 7.7°C (45.9°F) making it the third coldest April since 2010 with only 2012 and 2013 colder at this late stage in the month. Worryingly we've had to start watering on the allotment. As you can see from the chart above we've had virtually no rainfall in the last 4 weeks. 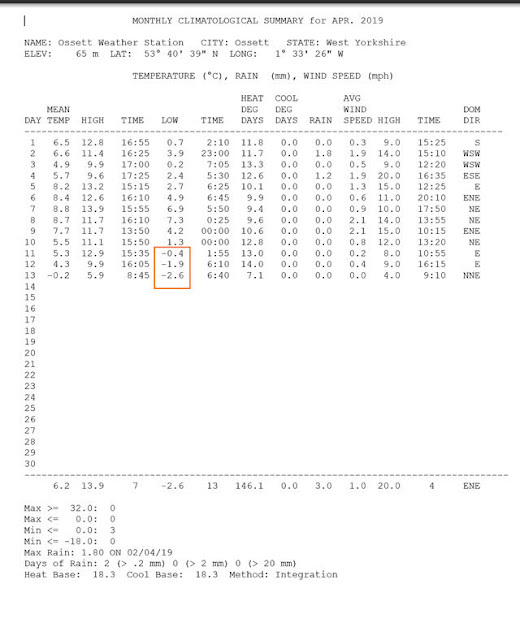 Normally we'd expect around 50 mm of rainfall over a four week period rather than the 3mm we have actually recorded. 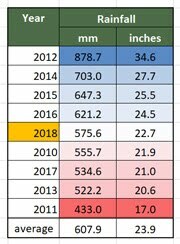 Rainfall in 2019 has been on the low side in any case with January and February having below average rainfall. March began with two wet weeks but since then nothing of any use for the allotment. The current spell of warm weather is forecast to break down following Easter Monday with a more changeably outlook to follow. A decent rainy day would be most welcome at the allotment. How unusual to have some decent weather over a holiday period when Good Friday turned out to be a lovely sunny day with the afternoon temperature reaching 22.2°C (72.0°F) making it the warmest day of the year. Coincidently, 19th April broke the same record last year with a temperature of 28.8°C (83.8°F) the hottest April day I've recorded. The weather is forecast to remain sunny and warm over the Easter period so it's possible that warmest day of the year record won't last very long. Our resident blackbirds often take a bath in our pond. They have a regular spot for this in one of the shallower areas of the pond. 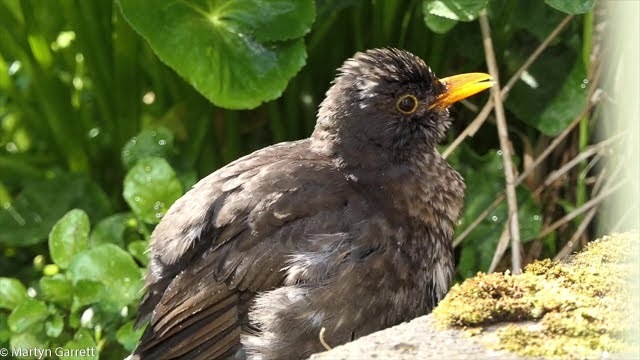 They don't expect our summerhouse to be occupied but it was on Friday afternoon, as we enjoyed an afternoon cup of coffee this female blackbird arrived for her afternoon dip. She considered if it was safe enough for her to risk taking a dip for a short while as she eyed us suspiciously before deciding what the heck and went for it anyway. A look around the plot from above. 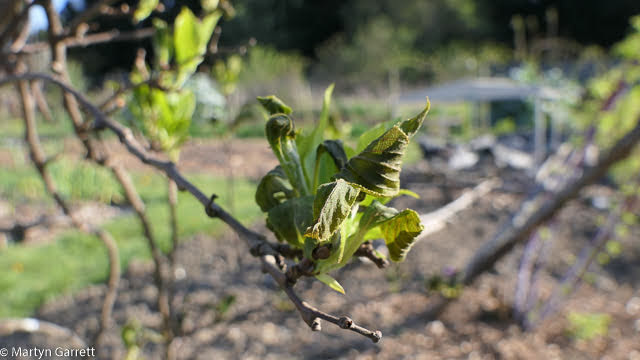 At least now there is a little bit of green appearing on the plot as our fruit trees start to leaf up. I think, fingers crossed, that we've seen the back of the cold weather. A run of five consecutive nights of below freezing temperatures in April is the longest we've had in my ten years of weather records. It started me looking back at the previous spell of cold weather in April which occurred back in 2013. The minimum April temperatures are shown in the table above and are colour coordinated from warmest in darkest red through to coldest in darker blue. The last spell of cold April weather was in 2013 only that came earlier in the month. I checked back through our harvesting records and found that 2013 wasn't a bad year for our plums. I'm concerned that this year's plum crop will be affected by the frosty nights whilst the trees have been in flower. A total of almost 41kg was a good crop so I initially thought that a cold start to April did little to reduce the plum crop. My hopes were raised a little bit that the cold nights wouldn't have damaged the plum blossom and we were still in with a chance of a good harvest. 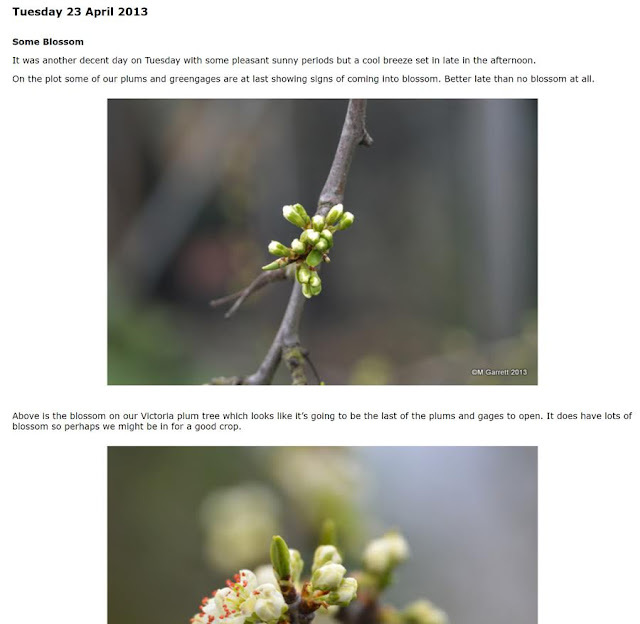 I wondered if I'd made any blog post comments at the time regarding the blossom and the effects of any frost. First of all I found this post from early April 2013. 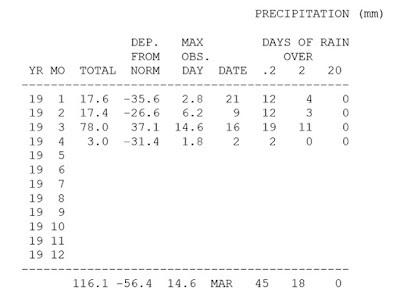 The difference in 2013 was that we hadn't had any mild weather through February and March. and everything was still in winter mode rather than being drawn into spring mode during winter only to be returned to winter once spring arrived which is what has happened this year. I carried on looking through a few more posts from April 2013. I found this post. 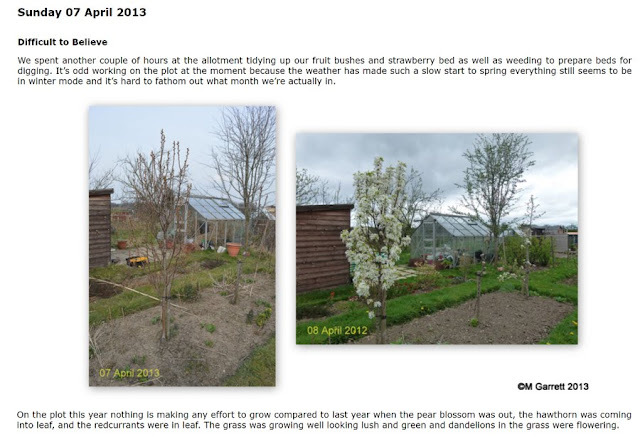 In April 2013 when we had a cold and frosty start to April the plum and greengage blossom wasn’t damaged by the frost because it wasn't out and didn't come out for another couple of weeks after the frosts. I've decided we are just going to have to wait and see if the frost this year has caused any damage to the cherry, pear, greengage and plum blossom. Our apples are just coming into flower at the allotment so hopefully they won't have been damaged by the frosts. We've decided not to visit the allotment over the weekend. We spent a few cold days there last week and we've decided to hold off doing any more planting until the cold spell of weather breaks. It's now becoming a rather prolonged cold spell although the early part of next week is forecast to see temperatures rising to more normal levels for the middle of April. 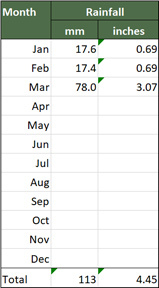 The average monthly temperatures for the year make interesting reading, although perhaps not if you are a gardener. 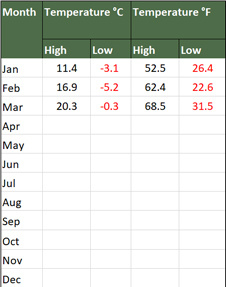 April's average temperature is now lower than both March and February. We are still waiting for an April day to be warmer than the warmest days in February and March too. Spring temperatures are heading in the wrong direction at the moment and getting colder rather than warmer. 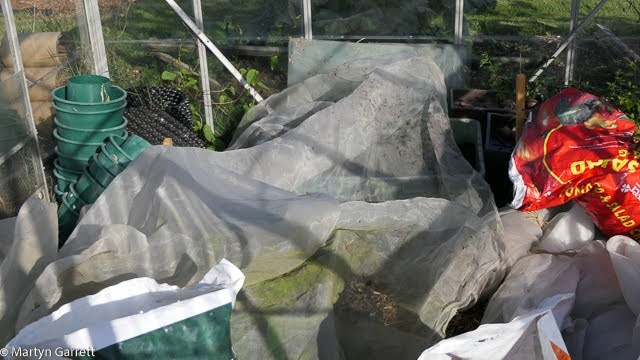 The cold frame was covered with some fleece to give some protection from the cold and to keep the blackbirds out as they enjoy digging around in the damp compost. However, in the open garden there is not that much we can do to protect plants from the cold nights. 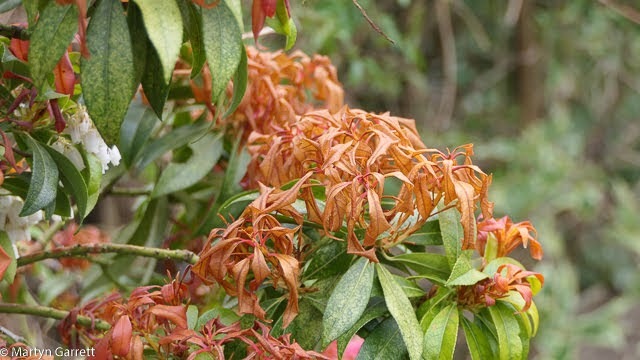 We've got a couple of pieris and the new leaves that should be a lovely bright red colour have been turned into frost burnt brown. If we get some sunshine today to warm up the greenhouse a little bit, I'll start sowing some tomato seeds. 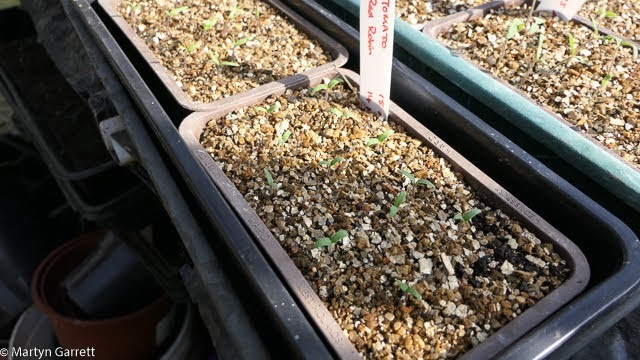 They'll be grown on for a week or more in our indoor propagator and hopefully by the time they've germinated temperatures will have warmed up enough for them to be safely moved into the greenhouse to grow on. I posted yesterday that we might not be finished with frosty nights and it turned out to be correct. Never mind when in April it happened as early Saturday morning produced the coldest April temperature in ten years as the thermometer fell to -2.6°C or 27.3°F. We can often go through April without a frost so three nights in a row is unusual especially as we are approaching the middle of the month. 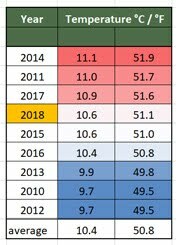 April should gradually be getting warmer not colder. I had a quick check around the greenhouse and cold frame and everything seems to have survived okay. I didn't cover these lettuce seedlings last night (I forgot) but they look to have survived. I know from recording greenhouse temperature there's not a great deal of difference between greenhouse and outside temperature on cold nights. Everything looked to have made it through the cold in the cold frame too. My only concern was for some cauliflower plants purchased last week but they looked fine this morning. It appears that our young plants at home have survived the frost but there no way of knowing what damage has been done to any fruit blossom. At home we have apple, pear and cherry blossom out. You may be wondering about how our tomato plants have survived and the answer is they've done alright still tucked up in their seed packets. 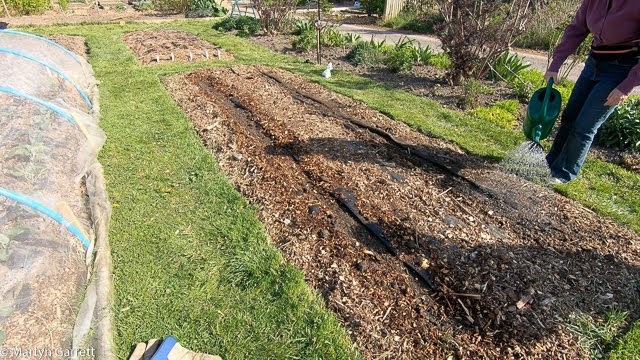 Hopefully, the cold nights should relent in the early part of next week and some serious seed sowing can begin. 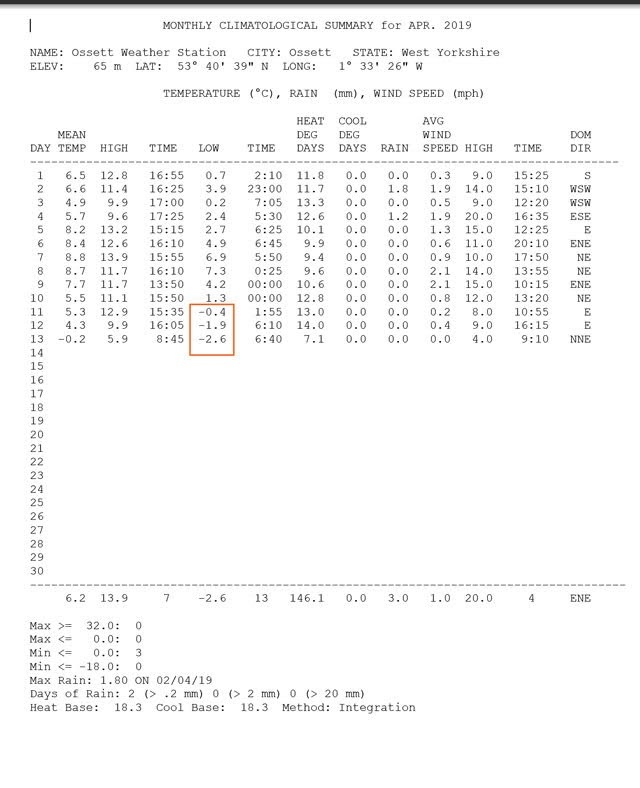 As if yesterday morning wasn't cold enough, early Friday morning became the coldest morning this late into spring I've recorded when the temperature fell to -1.9°C or28.6°F. The coldest April morning I've recorded since 2010 was 07 April 2013 when the temperature dropped to -2.4°C (27.7°F) and Friday now becomes the second coldest April morning in 10 years. We had a quick check around the allotment on Thursday afternoon to see if we could spot any damage from Thursday morning's frost. Sue noticed that some of the leaves on our newly transplanted kiwi Issai had some frost damage. 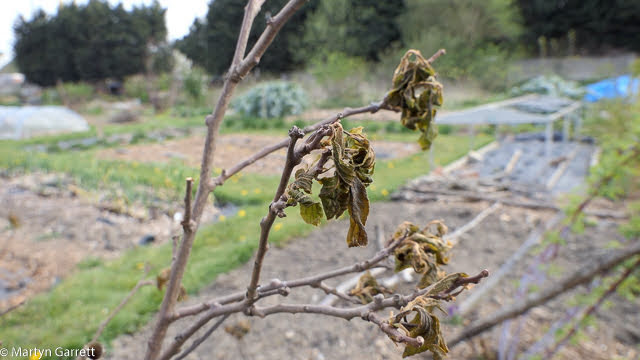 Other than that we couldn't see any other damage although we will have to wait and see how much damage these keen late frosts have done to the plum, greengage, pear and cherry blossom. 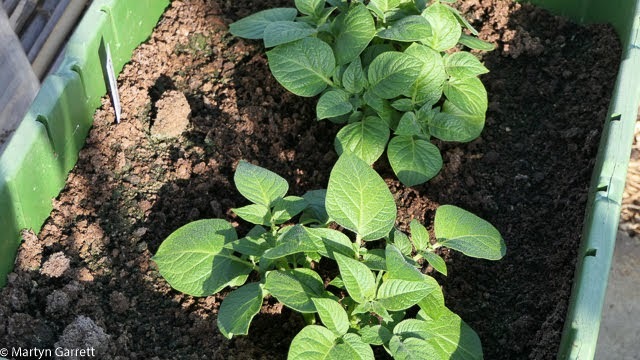 Our early Casablanca potatoes in the plot greenhouse looked well and had escaped any damage. 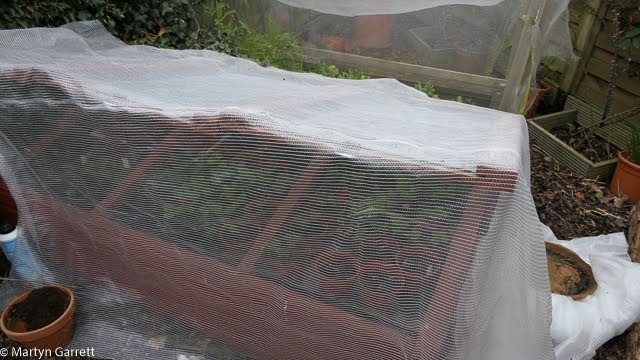 Before we left I took the precaution of covering them with some environmesh just in case we had another frosty night. I'm glad I did now. I'm not sure we've finished with the frosty nights just yet!